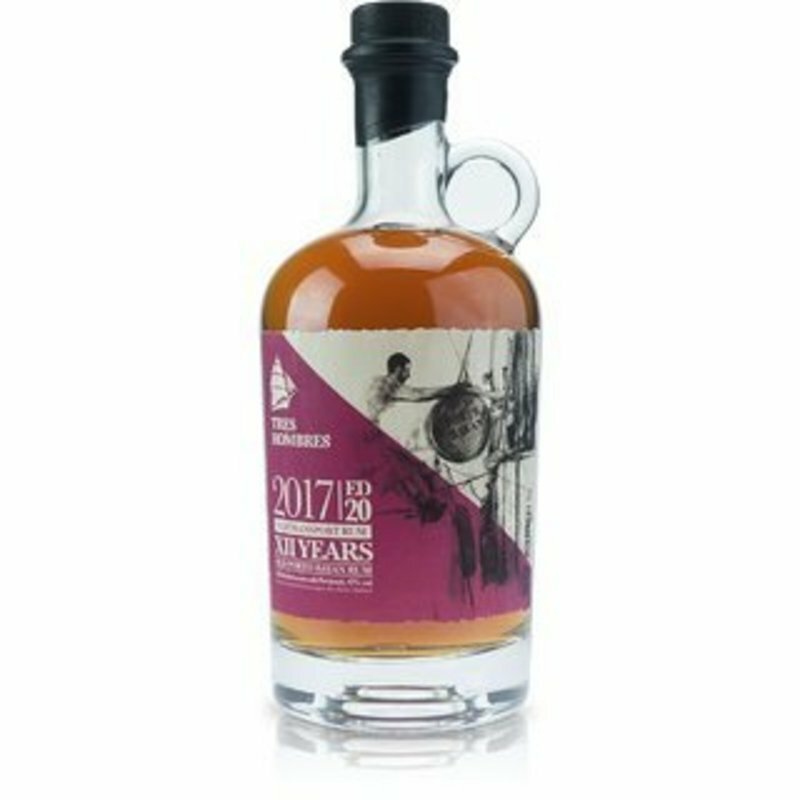 Have you found an online vendor selling Tres Hombres Porto Bayan 2005 Rum 12 YO Ed. 020 ? 20ml uit een advent kalender. Foursquare rum van 12 jaar oud met een finish op port vaten van 9 maanden. Prima spul dus maar gebotteld op 40%abv. A so so offering from tres hombres. I’m a big fan of barbadian but this light golden rum failed to get my blood flowing. The nose offers roasted coconut, vanilla and something fruity, perhaps mango. Not bad but the taste quickly dampens the expectations implied from the nose. It’s very light bodied, almost watery. There’s a subtle hint of coconut and caramel that quickly fades to light oak on a short finish. Guessing it would also be to weak for mixing a decent cocktail so not particularly recommended in any way. One of the rums with a lot of flavors - bananas, fruits, cherry... sweet taste accompanies it all. It's a great rum, don't get me wrong but I expected more for the price and being from Tres Hombres. Oaky, vanilla flavour with a touch of smoke. Body is kind of thin and aftertaste doesn't linger very long. Somewhat harsh. Aber mit sehr guten fruchtigen noten ! Kann man noch mal trinken! A little light in colour. Lucka 16 i romkalendern 2017, betyget sammanfattar allt. Since this is a special edition, one would expect an extraordinary taste, but in fact, this rum tastes very average to me: It shure has a nice scent of brown sugar and oak in the nose, but on the palate it is dry, slightly spicy and in general pretty uninteresting. Luktar mycket frukt och vanilj. Klen smak, besvikelse. Duften, en blanding af fad, gummi og tørret frugt. Smagen er mild frugtig, dog lidt spis fra alkoholen. Nose is weak with hints of brown sugar but more of a glue. Port cask finish is sadly not much recognizable. But it has oaky wooden character. Mild finish with hints of cinnamon and fruits. Lite frukt i doft och smak, annars inte så mycket att hänga i julgranen. Was not expecting that much when it first hit the nose, however it got a bit more interesting when it hit the tounge. Not too much complexity, but I quite liked it anyway. This is my very first tres hombres rum. Have been looking forward to taste one of them. Nose: a bit of lemon, apple and exotic fruits. Palate: Apple in a sweet way and exotic fruits. It has an unusual taste, but I like it. Ok smag. Lidt likør lign. Er ikke helt vild med efter smag. En meget frygt rom - ikke min stil. Duft af frugt og alkohol. Smagen er yderst frugtet - alt for meget for mig. Det bliver næsten helt som en likør. Destiliert in den Pot Stills der Foursquare Distillery in Barbados. Gelagert für 12 Jahre in gebrauchten Bourbonfässern vor Ort, für die 9 Monatige Überfahrt in Portweinfässern. Schönes goldenes Bernstein im Glas. Im Gaumen wird die Zunge von tropischen Früchten , Vanille Brötchen und gelbe Blumen geschmeichelt. Gleichzeitig bildet der herben Trockenheit des Ports und holzig - harzigen Noten einen Gegenpol. Eine wunderschöne, interessante Kombination dieser Aromen. Im Abgang sehr lang und elegant aber etwas trocken, Vanille und kandierte Früchte. Distilled in the pot stills of the Foursquare Distillery in Barbados. Stored for 12 years in used Bourbon barrels on site, for the 9-month crossing in port wine barrels. Beautiful golden amber in the glass. On the palate, the tongue is flattered by tropical fruits, vanilla buns and yellow flowers. At the same time, the harsh dryness of the port and woody, resinous notes form a counterpoint. A beautiful, interesting combination of these flavors. Very long and elegant on the finish but slightly dry, vanilla and candied fruit.